Arthur A. Levine Books, 9780439523943, 64pp. He claimed to have seen rocks burn, bandits command sandstorms, lions tamed with a look, and sorcerers charm sharks while divers gathered pearls on the ocean floor. Marco Polo shook Europe with descriptions of the world he'd seen on his epic journey to the court of Kublai Khan. 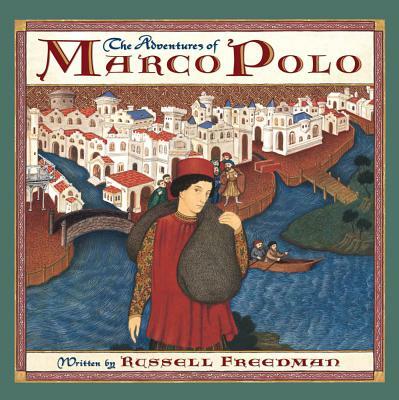 But was Marco Polo the world's most accomplished explorer? Had he really seen the "Roof of the World" in Central Asia, and the "City of Heaven" in far-off China? Or was he a charlatan who saw nothing more than the conjurings of his inventive mind? Join Russell Freedman as he tackles a centuries-old mystery.